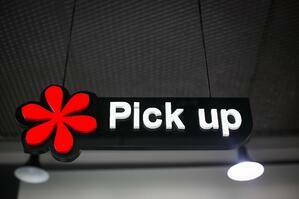 Curbside Pickup vs. In-Store Pickup: Which One Should You Offer? Buy online, pick up in store (BOPIS) continues to steadily increase in popularity among U.S. consumers. In fact, KIBO's 2018 Consumer Trends Report found that 67% of the 3,000 survey respondents used BOPIS in the past six months. Now, retailers are offering a service that allows customers to pick up their purchase without ever getting out of the car — curbside pickup. But how does this newer service compare to the beloved buy online, pick up in store? And which is right for your business? Here's a breakdown of curbside pickup vs. in-store pickup. Say a customer orders an item on Amazon. If they're a prime member, they'll receive their item in two days. If they're the unfortunate soul who doesn't pay for a prime membership and they don't want to pay the steep price for same-day shipping, they'll have to wait the five, seven, 14, or however many business days it takes to reach their doorstep. But they want the item now! That's where curbside pickup and in-store pickup prevail. If that customer wants to order an item from Best Buy, they can order it online and pick it up in the store about an hour later. And now, if they want to order something from Target, they can order it online and simply drive to the designated pickup location, where an employee will deliver the item to their car. Either way, shoppers can order online, skip the shipping fees, and have their merchandise in-hand within a few hours. No need to comb the store for wanted items or stand in a checkout line, either. But how do these convenient shopping options benefit the retailer? While BOPIS may only seem like a perk for the customer, retailers actually benefit from this strategy as well. Buy online, pick up in store ensures that shoppers come into your store, where they may be tempted to buy more. Some stores offer in-store returns of online purchases, and they’re seeing higher net revenue because shoppers can buy something else on the spot. Retailers don't have to pay for delivery costs. Retailers can use it as a promotional tactic. For example, provide a coupon for a percentage off their next purchase. Although it sounds ideal, in-store pickup comes with some disadvantages, too. The pickup desk must consistently be staffed during business hours. You may experience a long line at the online pickup counter. Curbside pickup is especially beneficial when one parent is running errands with several kids or when someone with mobility issues needs a few items from the store. But it's also advantageous for retailers. Staff can be assigned to other tasks in between making deliveries, helping reduce labor costs. Some large retailers say the added convenience has increased sales. Face-to-face interaction with your customers. Retailers struggle to track and display in-store inventory in real time, yet the system only works when items are available. Shoppers never enter your store, therefore there's no chance of them buying more items than what they came for. And impulse buys typically account for a large percentage of sales. You'll need a well-functioning, user-friendly app for customers to place orders and schedule a pickup time. It can be difficult to be efficient for curbside pickup when your store is busy. The good news for smaller retailers is that the largest stores are pioneering these options and, in doing so, helping pinpoint the pros and cons of each one. That may make it easier to decide which type of service makes the most sense for your store. The bottom line, though, is that customers are demanding ever-more-convenient options. To stay current and continue to fend off competitors, retailers will have to offer some type of at-store pickup.